SAS4 is my best favorite game, while I hate championships which they hold every few weeks. It is nice that it brings more players in, but it also activates annoying champ fuckers during it. Today again I came across typical one of those cs-fuckers. 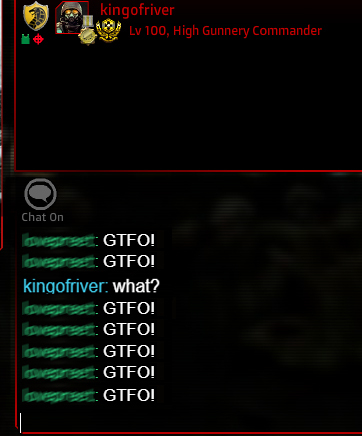 The guy said “GTFO” to me as soon as I joined an event lobby. Although it was the first time for me to see him, strange why he so furiously hates me . He was a silver badge guy having a moderately cored gun like 5 base-cored proposition, and wearing redly poor armor.